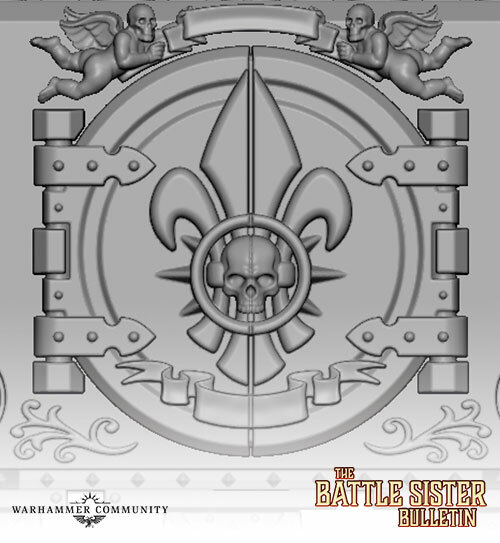 The Battle Sister Bulletin is back today with a first glimpse at some of the new vehicles that are in development. 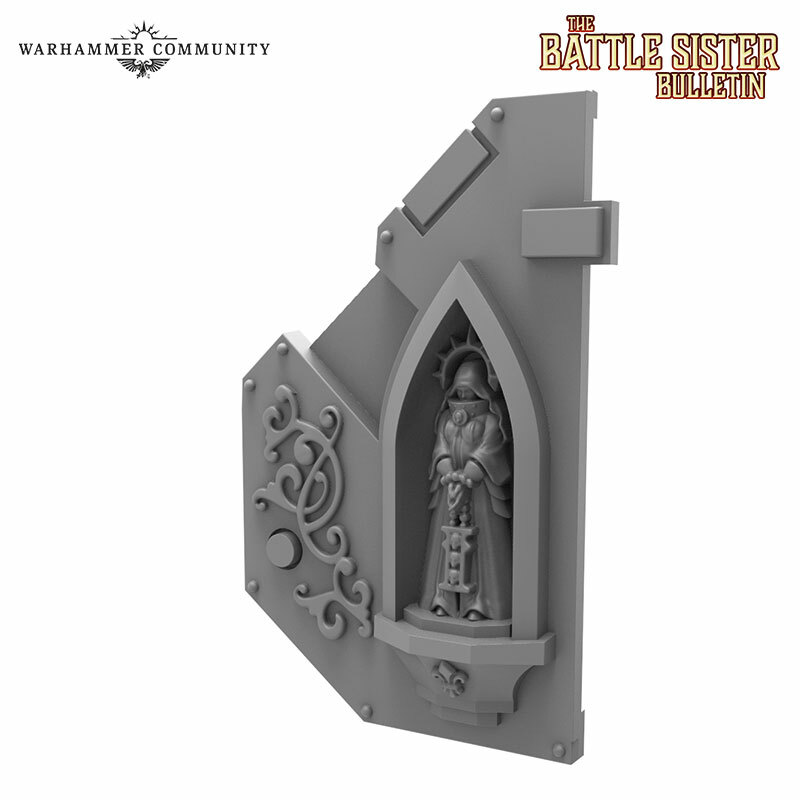 Before we dive into the details, let’s take a quick look at what we know about the vehicle pool available to the Adepta Sororitas. The iconic vehicles of the Adepta Sororitas – the Immolator, Exorcist and Rhino – all utilise the ubiquitous Rhino chassis. Some of these vehicles are based upon the Mk I Deimos-pattern Rhino Standard Template Construct (STC) and are ancient in origin. The oldest examples are baroque masterpieces, having been reverently maintained and embellished with additional Ecclesiarchal decorations for millennia. The Deimos-pattern chassis features a number of characteristics that set it apart from the Mk IIc Mars-pattern Rhino more widely utilised by the Adeptus Astartes. The most notable of these features are the circular side doors that part to either side of the entrance, rather than the rectangular single-panel doors of later designs that yawn open to create a ramp. 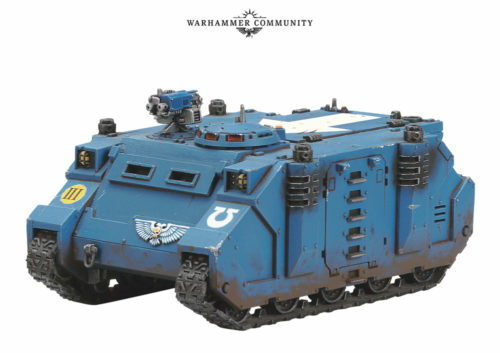 The new vehicles being designed for the Adepta Sororitas represent the more antiquated Deimos-pattern Rhino STC. As such, they are flanked by the archetypal circular doors, adorned with the symbolic fleur-de-lys of the Adepta Sororitas. Another feature of the Deimos-pattern Rhino chassis is that its four large exhausts are only partially clad with armour plating, if at all. 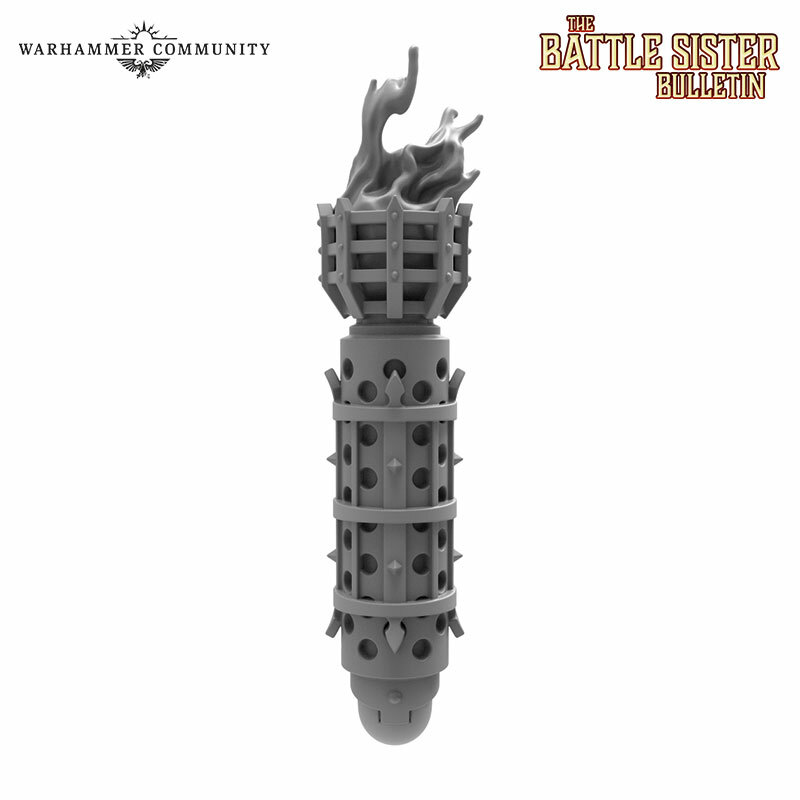 This open design has enabled the vehicle’s exhausts to be styled in the image of tall braziers, really emphasising the Gothic imagery for which the Adepta Sororitas are renowned. The level of detail that has been added to each part of the chassis is to give the impression of antiquity – that this is an ancient vehicle upon which many generations of artificers have added embellishments, gilded filigree and holy ornamentation. The side corner of the vehicle features a small shrine ensconced within a peaked arch – a clear sign of the reverential manner with which it has been fashioned by the artisans of the Ecclesiarchy. 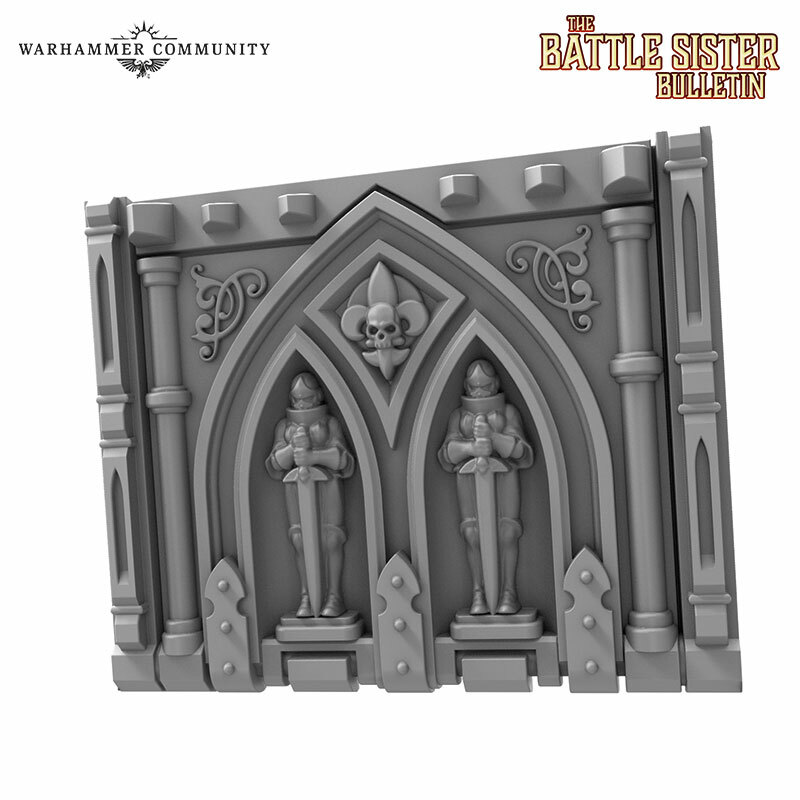 Gothic arches are a fundamental Imperial image with which the Adepta Sororitas have always had a strong association. The rear door of the vehicle exemplifies this principle, with two smaller arches set within a larger design in the manner of an ornate stained glass window. 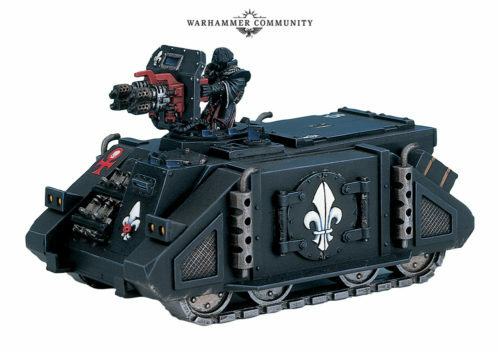 Of course, there is one vehicle available to the Adepta Sororitas that doesn’t utilise a Rhino chassis, due to it being more akin to a mechanised warsuit – the Penitent Engine. 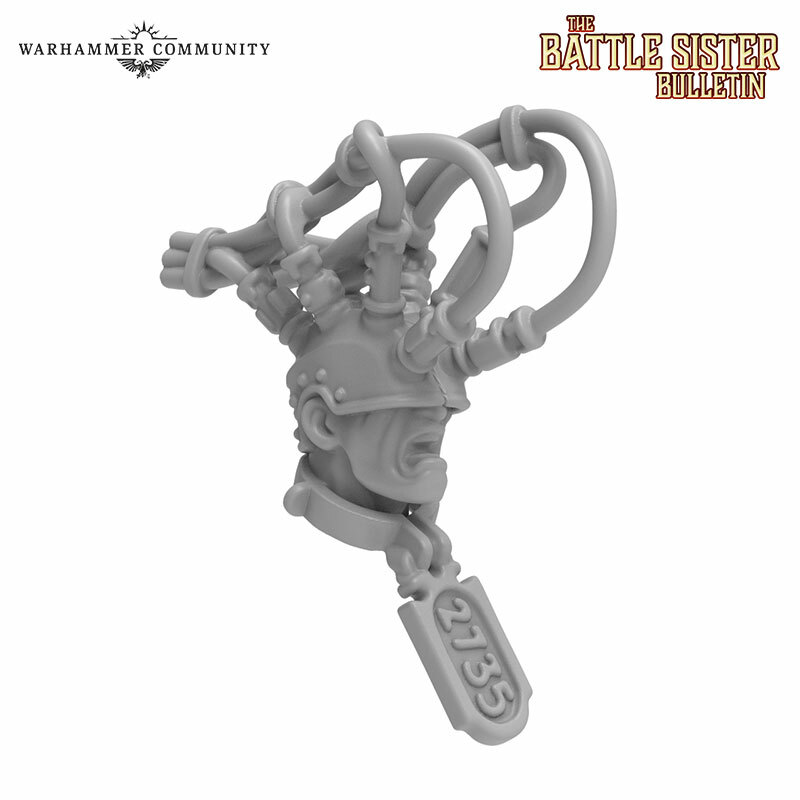 We’ll bring you more on this horrific war machine soon but, for now, here’s a sneak preview of a head belonging to an unfortunate soul condemned to seek bloody redemption in battle by ‘piloting’ a Penitent Engine. That’s it for this week. 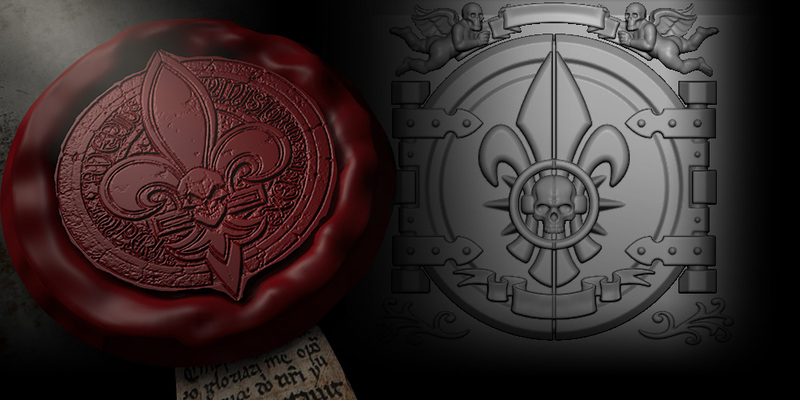 We’ll be back in a fortnight for another look at what lies in store for the Adepta Sororitas. Until then, let us know your favourite vehicle in the armoury of the Adepta Sororitas on our Warhammer 40,000 Facebook page. Den alten Immolator aus der zweiten Edition besitze ich leider nicht. Ich hatte zum Originalrelease der Soros anno 1997 gerade erst mit 40k bzw. Tabletop an sich, angefangen – und obwohl ich ein paar Blister Zinn Soros hatte, hatte ich als kleiner Schüler für den Panzer damals echt kein Geld. Und dann hatte ich die Soros als Armeeprojekt einige Zeit aus den Augen verloren, bis der schon nicht mehr verfügbar war. Immerhin habe ich denn vom aktuellen Bausatz einen kleinen Fuhrpark angeschafft. Die neuen Designs gefallen mir natürlich ohne Ausnahme. Interessant ist auch, dass GW den Schwestern offenbar einen komplett neuen Rhino-Bausatz verpassen wird, der offenbar an den Uralt-Bausatz angelehnt sein soll, der ja auch die Grundlage des alten Immo bildete (siehe Bild oben). Ich bin echt auf das fertige Teil gespannt. Auch der neue Läuterer interessiert mich, aber davon sehen wir ja nicht viel. Der Kopf hier hat ja männliche Züge. Ich hoffe, dass man weiterhin die Option haben wird, auch eine Frau den die Bußmaschine zu stecken. Während die Seitentür tatsächlich eher dem alten Bausatz bzw. auch dem Forgeworld-Rhino der 30k-Linie entspricht, spricht die Seitenpanzerung vorn eher für die neue/aktuelle Rhinovariante. Würde mich aber auch nicht wundern, wenn sie für die Schwestern den Rhino komplett neu Designen. Wenn sie schon die gezeigten Teile so modellieren inkl. Heckklappe, spricht vieles dafür. Bleibt spannend. Möglich ist dies natürlich. Allerdings müssten die dann für den aktuellen Rhino-Bausatz wie bei Forge World einen komplett neuen Satz Seitenplatten mitliefern, damit das mit den runden Türen und den Auspuffrohren passt. Und zumindest das Teil mit dem Schrein spricht tatsächlich eher für diese Variante, da die doch sehr nach der aktuellen Rhino-Form aussieht. Beim FW MKII Rhino ist nur die Türe und Auspuffrohre seitlich änderst. Die seitliche Panzerung ist nahezu identisch. Uhh, auf die “Penitent Engine“ freue ich mich jetzt schon sehr. Der Neuere passt doch viel besser. Es wird sicher keine 1 zu 1 Kopie werden, sondern eher wie bei Forge World das aktuelle Rhino Chassis mit ein paar Elementen des alten Designs sein.